Gather the family and friends to improve your logical reasoning in the traditional board games. Focus on the check-mate, crowning your pieces or making mills. On this online games, the objective is to conquer the boar and overcome your opponent. 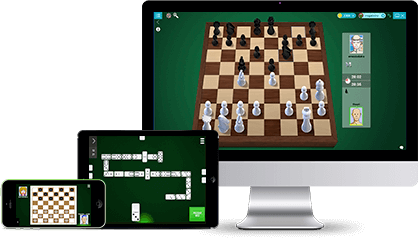 There are 5 variations of the game Checkers played in several countries that you can play for free here at Game Velvet. At Brazilian and International Checkers pieces can capture back and forth and the Queen moves freely on the diagonals. The difference is that the International board that has 10 columns against 8 columns of the Brazilian. In the Italian, Spanish and English versions, the pieces capture only upwards. Only in the Spanish the Queen can make long moves, in the other two the Queen moves only 1 house per move. The last difference is in the Italian version board that has the big diagonal clear(white).